"The religiously unaffiliated population includes atheists, agnostics and people who do not identify with any particular religion in surveys. However, many of the religiously unaffiliated do hold religious or spiritual beliefs. For example, various surveys have found that belief in God or a higher power is shared by 7% of unaffiliated Chinese adults, 30% of unaffiliated French adults and 68% of unaffiliated U.S. adults." The percentage of atheists have grown from 1.6% in 2007 to 2.4% in 2012. Agnostics have grown from 2.1% in 2007 to 3.3% in 2012. Unaffiliated have grown from 11.6% in 2007 to 13.9% in 2012. These groups together form what Pew terms 'the Nones' and together total 19.6% of the population in 2012. What is interesting is that 20% of these people claim to pray everyday. In fact, 76% of all Americans say prayer is an important part of their daily life - the same percentage as 25 years ago in 1987. 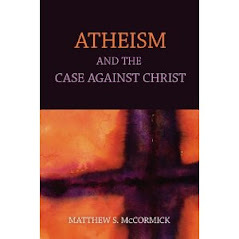 I am currently reading a book titled The Twilight of Atheism by Alister McGrath. Have you read it?